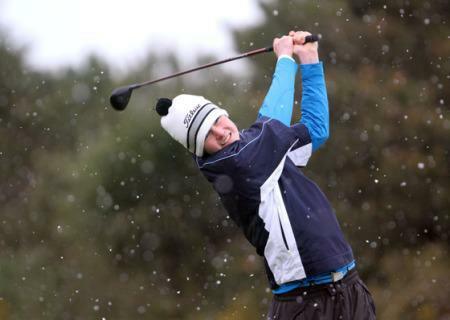 Mallow’s James Sugrue, the reigning Connacht Boys champion, and Robbie Pierse from Grange carded excellent four over par 75’s at the demanding Co Wicklow links to lead the way. They top the leaderboard by a stroke from Naas’ Jonathon Yates and Rosslare’s Gary Collins with Greenore’s Caolan Rafferty, Newlands’ Jake Whelan and Moate’s Paul Coughlan just two shots off the pace. Mallow’s James Sugrue with last year’s Connacht Boys Championship. 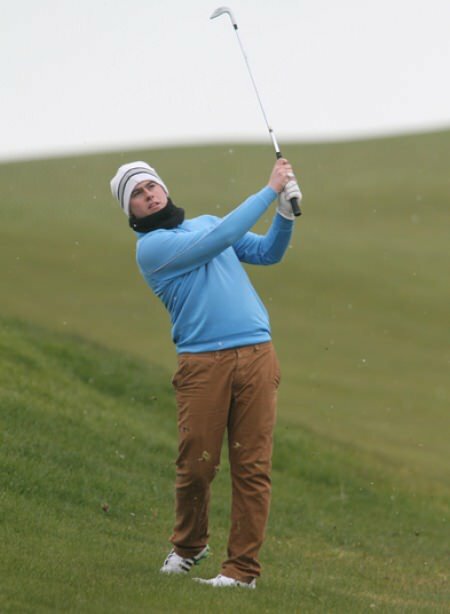 Pic via gui.ieHarry Coyne, the plus one handicapper from Carton House, mananged a 78 to share eighth place with Skibbereen’s Kieran Lynch with Knock’s James McVicker the only other player to dip under the 80 barrier with a 79. Esker Hills’ Alan Lowry, brother of European Tour professional Shane, posted an opening 82. The top 42 after today’s second round will qualify for Wednesday’s 36-hole finale. 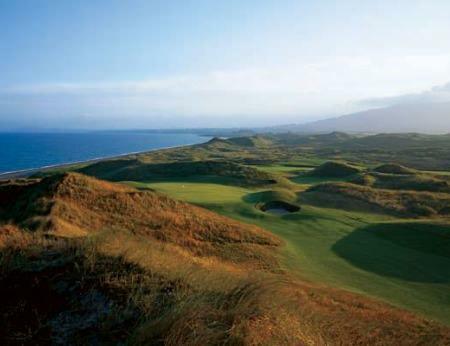 A view of the approach to the fourth at The European Club. 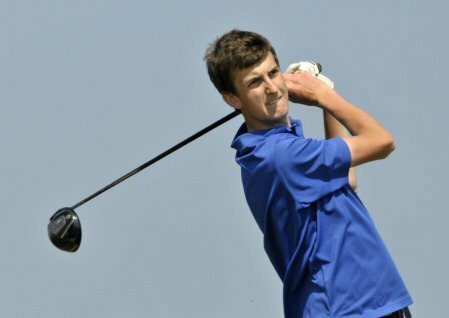 Picture courtesy Pat RuddyRathsallagh’s Jack Hume heads a high quality field for the Sigma Wireless Leinster Youths’ Championship at The European Club from March 25-27. 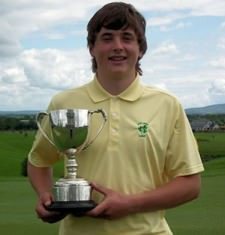 Gary Collins, playing his approach to the 18th, won the Sigma Wireless Sponsored Leinster Youths Championship at The European Club. Photo Jenny Matthews/www.golffile.ieRosslare’s Gary Collins made up for the disappointment of finishing a shot behind the winner last year when he stormed to a three-stroke victory in a 54-hole Leinster Youths Amateur Open at The European Club.